It’s that time of year again when Christmas will be upon us in a matter of weeks (did I really write that!) and we wonder where the year has gone. We’re hosting Christmas at home this year, so I’m thinking about the theme I’m going to use and how to decorate with it. 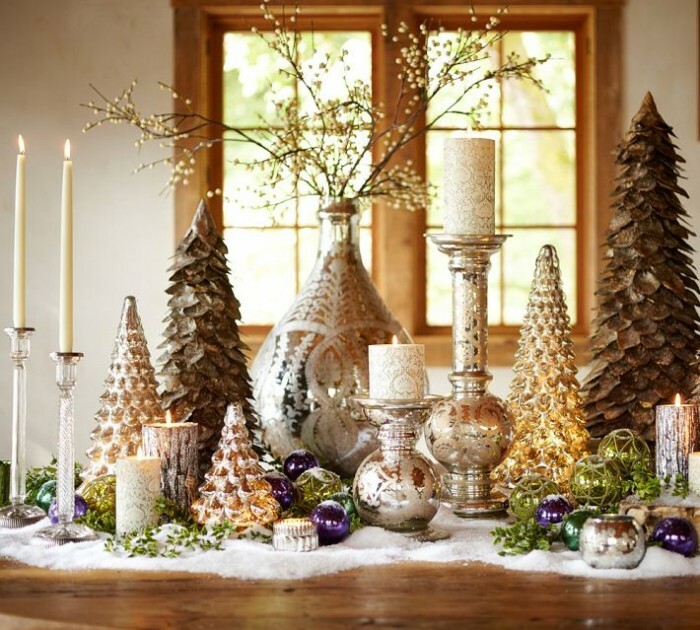 In this newsletter I’ll share some tips with you on Christmas styling, and how to pull your theme together. I wish you all a wonderful festive season. May it be sprinkled with much love and happiness, special times with family and friends, and some time to rejuvenate before 2016 flies in. Once you have your theme, decide on the colours for your scheme. It could be silver or traditional green and red. This year the trends are showing lots of blues, and of course copper, brass and gold – which seems to be everywhere at the moment. I’m probably going to opt for a rustic theme myself (but I haven’t really decided just yet)! A fresh tree adorned with silver and red, coupled with timber decorations. For the table I’m using rough sawn timber logs (about an inch thick) that I sourced myself and got cut to order (I do have access to a farm, so that helps). I’ll create vignettes on the larger pieces and use native flowers from our garden in various size bottles, with a sprinkle of sparkle. Think about your lighting too – fairy lights indoors and out create a magical atmosphere and really set the scene. The battery operated fairy lights give you more flexibility on where they can go – under a cloche, draped over the mantelpiece, through the garden, along your table and around windows.